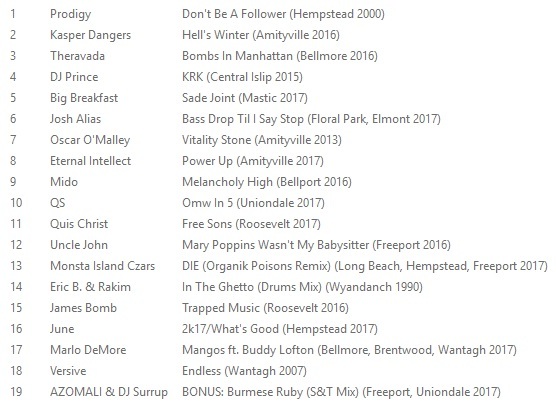 Chopped Herring Records Owner Pro Celebrity Golf clearly puts a great deal of time and effort into curating his label's releases, and over the past few years he's done as much as anyone for Long Island hip-hop, specifically by unearthing previously unheard recordings by JVC Force, DJ Stitches and Eternal Intellect among others. So, I won't get in the way on this one. 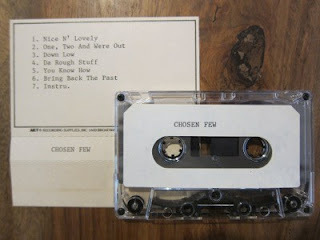 Read Pro's write-up for The Chosen Few demo, stream the snippets below, and get your pre-order in before this edition of 350 sells out, as it most likely will. Picture it, Long Island, NY, 1986. The crack epidemic had taken its hold over the hood. In fact there had just been an edition of the popular American news show "60 Minutes" which featured a block in Amityville, soon to be known to some local artists as Horror City, which was suffering from heavy unemployment and the effects of the this new drug crisis. Some Zulu Nation cats had came out to Amityville for a block party. The Crash Crew were battling a local crew called The God Squad, which comprised of Rahmel, Mc Duel & MC Finesse. An underrage Brian Jackson aka B-Nice snuck into the battle. This night was the start of his transformation into an MC.